A lot of bands try to make edgy noise these days, but ETID has a solid recipe that not only doesn't get old, but their musicianship evolves even more with every album. If there's one word to describe this album, it has to be pure, unbridled hate. Nails have proven they are here to stay -and we will be more than content to see them ascend to the throne. Speaking of anger, Jesse Barnett and his gang still have serious issues to address and they do so by tracing back roots. A pleasant surprise nonetheless. "Veto" left a bitter taste in my mouth so I was really sceptical towards a new HSB album. I'm glad I was proven wrong. "Wanderer" is their one of their best works to date. It's not immaculate, but it brings back the trademark HSB aggression that the previous album was missing. 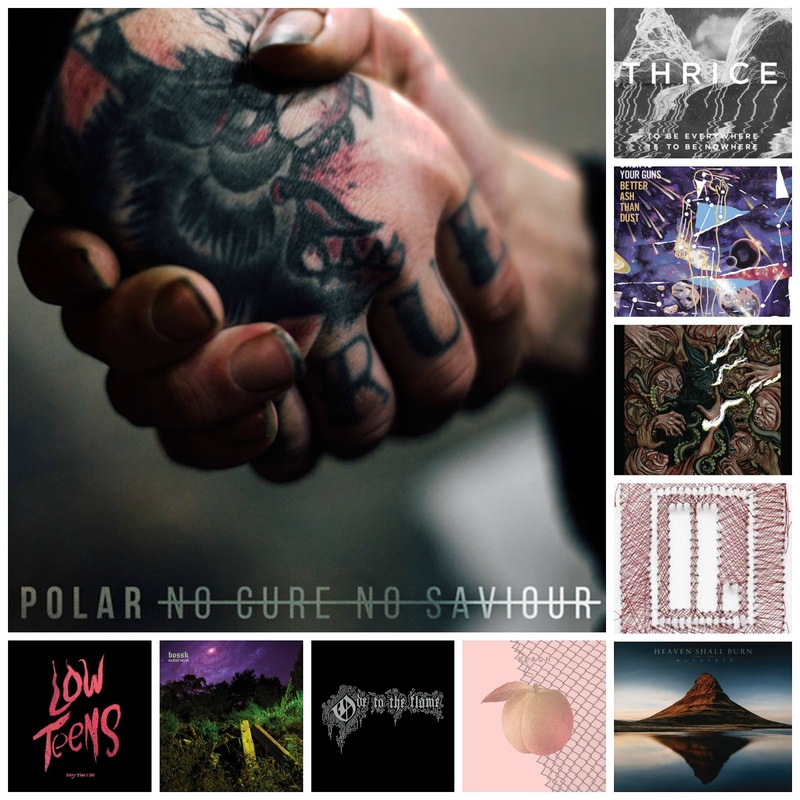 If you told me this time last year, when I first discovered Polar, that I'd be so impressed by their latest release, I'd have given you a funny look. After all this time, I can say I have a new level of respect for the band, both personally and musically. Heavy and melodic, this album hits a soft spot every time. I'm pretty certain people paid more attention to the band being labeled as "post-metal" than the actual gem that this album really is. Bossk has grown into an autonomous entity, which has assimilated its influences and has converted them into solid compositions. Don't let the cover fool you; Culture Abuse doesn't make cute and peachy music. The band's debut is a cohesive amalgam of their influences, ranging from reggae to grunge, and cynical, poignant lyric themes that build the structure of the album flawlessly, delivering modern anthems. The listener has to be in a relevant mindset to fully grasp the essence this album. The next creative step from "Death By Burning"; dark, heavy and slow, it's nothing short of what you'd expect from Mantar. Not your typical Letlive. album. Lyrically, it re-addresses certain issues but musically, it draws elements from plenty of other genres which blend perfectly into the final result. Jason Aalon Butler is always broken; he's grown as an artist and Letlive. exists beyond his antics. He is surrounded by talented musicians who are not shadowed by his stage persona. Probably the album that caused the greatest conflict of opinions this year. If you know Thrice, you know their capability to fuse melodic bits with dynamic parts while conveying messages through metaphors. Sure,they're not reinventing the wheel, but the outcome was a risk worth taking. After all, isn't that what second chances are all about?